Stacker2 fat burners are known worldwide as the most popular and most powerful fat burner there is! NVE Pharmaceuticals is now adding a little extra, with an improved composition of its best-seller 7-PhenylStack. This will be more powerful and more effective compared to the old version of 7-PhenylStack! A metabolic rate as high as possible – you can feel it! NVE worked on this formula for two years. The result is something which until recently was held to be impossible: an extremely powerful composition, free of ephedra, free of yohimbe, but with fat-burning characteristics and metabolism-increasing extracts that are reckoned among the strongest in the world! It’s unbelievable what 7-PhenylStack achieves. It is the easiest way to lose weight spectacularly fast. How does this improved version of 7-PhenylStack work? Unique to 7-PhenylStack are the extracts, which, by means of the patented microchip4 technology, are more easily assimilable in the body. The active substances are absorbed into the body promptly, and as a result this Stacker works faster, more effectively and has more power than any other fat burner. This version of 7-Phenylstack contains ingredients which have been analysed by EFSA and have been proven to make a positive contribution to the lipid metabolism and weight control. The extracts used – choline, garcinia cambogia and green tea (with as much as 60% polyphenols) – are cultivated by NVE itself and guarantees the quality that you can expect from this original Stacker. Two capsules after meals. Do not exceed six daily. When do I use 7-PhenylStack? Do you want the maximum effect, a faster fat burner, and a product that gives you a powerful energy kick? 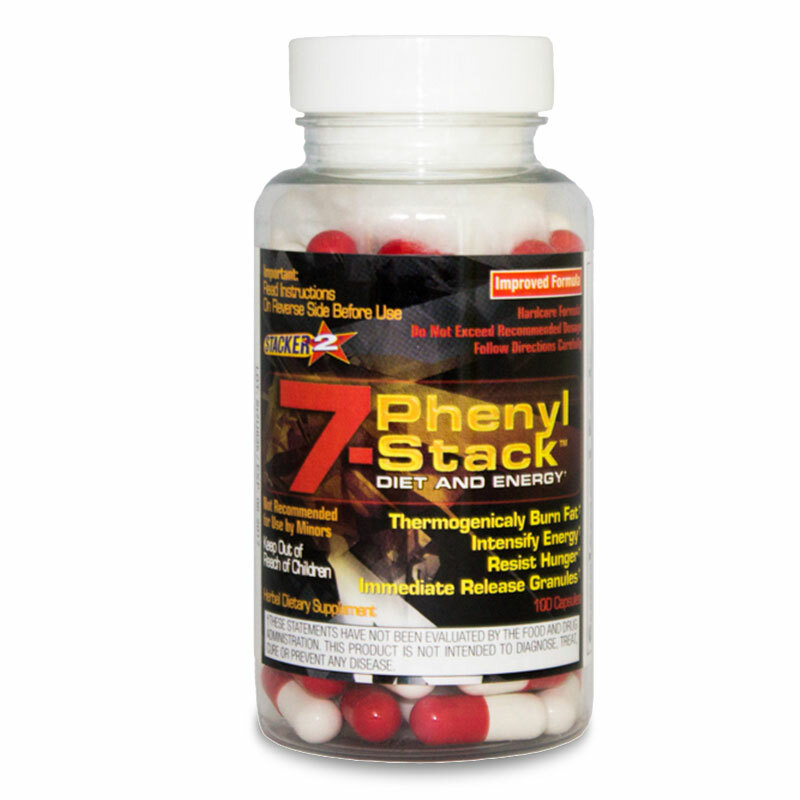 Then 7-PhenylStack was made for you! This is the new version. What has changed? In the past two years, we have been working on an improved formulation; even faster, stronger and more effective. The new version of 7-Phenylstack contains ingredients approved and proven active by the European Food Safety Authority (EFSA) that make a great contribution to fat metabolism and ultimately the control of weight. The extracts choline, Garcinia cambogia and green tea used (with as much as 60% polyphenols) originate from our own estates, thereby guaranteeing the quality you can expect from an original Stacker. Does this product have a time released action? 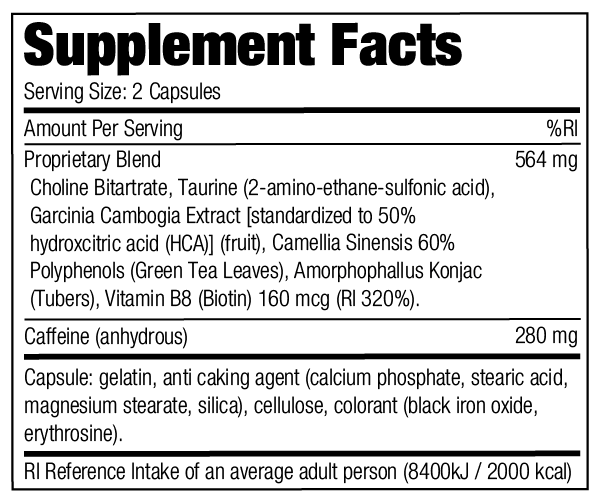 Yes, this product contains stimulants that peak at shorter or longer periods, thus sustaining the raised metabolism for several hours. No peak and no crash. So we can certainly speak of a time release effect. I have been using it for almost 3 weeks now. I take 3 per day. I combine this with dieting and now I’ve lost 5.5 kg. I find the results quite satisfactory after reading people’s stories of 10 kg in two and a half weeks. I’m not hungry at all, so it’s easily achievable in combination with the diet. Very good product for people who want to slim or enhance their muscles. As long as it’s accompanied by a good diet, I highly recommend it.